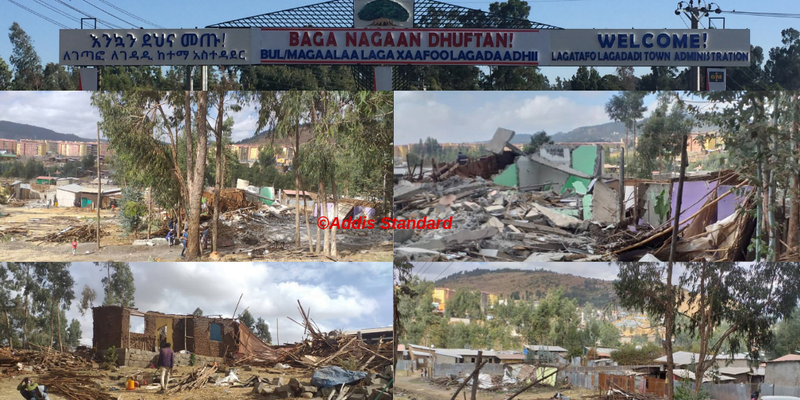 Addis Abeba, February 21/2019 – The Legetafo Legedadi city administration, located in Oromia Regional State Special Zone Surrounding Finfinne, under the Oromia region, began demolishing more than 3000 houses as of yesterday that the city Mayor, Habiba Siraj, said were “illegally built” and were marked for demolition this week. However, home owners who have lost their houses say they have been living in the areas after having bought their properties mostly in 2008 and onward. They dispute the city mayor’s argument and say they have all legal documents including land deeds, contracts with utility facilities such as electric power, telephone and water. “I first bought the plot in 2009 and I have moved here in 2011 when I finished building my house. I have all the corresponding documents related to this house and non of them are illegal,” Yeshi Alemseged, a resident in Ekaadallee Kebele 03 of the two and one of the home owners who has her house demolished yesterday, told Addis Standard. 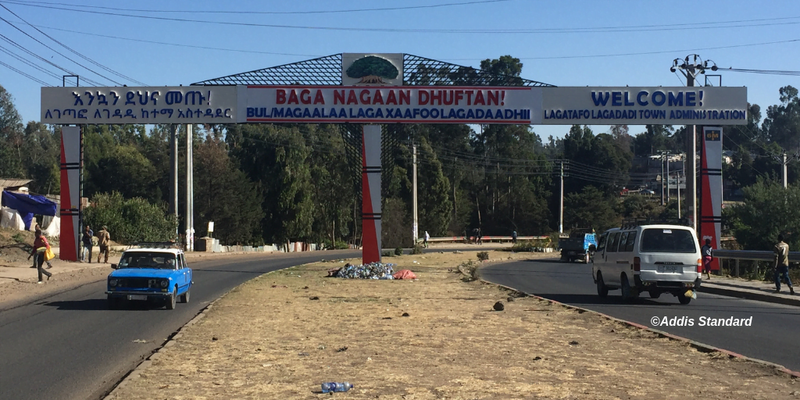 Other residents who spoke to the BBC Amharic say they were there long before the town got its administrative status. Anwar Ahmed is one such resident who said he moved to the area in 1990s (Ethiopian calendar), around 1997/98. He told the news portal that when he first bought the plot from a farmer there were no infrastructure an the area was more or less a farmland. After demolishing 48 houses yesterday, the town’s bulldozers have continued demolishing more houses today. Some 12, 000 houses are marked for demolition from the same area, according to the Mayor. The mayor insists some of the houses were illegally built in places marked for green areas, contravening the city’s ten year structural plan. In an interview with OMN, she also said some of the houses were built on areas the city administration has already acquired for various building projects such as schools and health posts, as well as houses built on buffer zones near rivers. OMN quoted the Mayor as saying that discussions took place between the two’s administration and homeowners for the last six months. 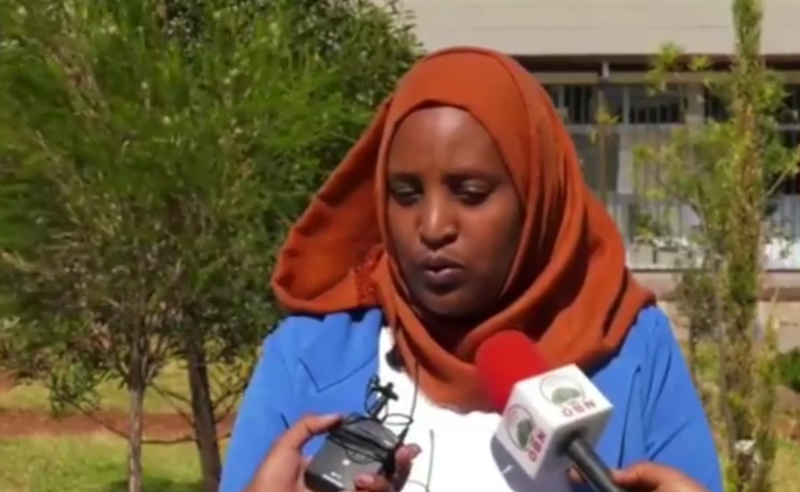 In the same interview with OMN, however, land development and management deputy head of the town Mesfin Kebede admitted that there has been “gaps in the past” within administration officials who have been following the issue.